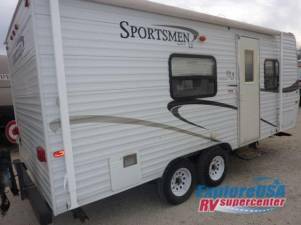 2009 KZ Sportsmen 202LE - Very clean lightweight trailer, queen bed, large rear bath. Only weighs 3500lbs. E mail for more information. Very clean lightweight trailer, queen bed, large rear bath. Only weighs 3500lbs. E mail for more information.